America has a strong tradition of coming together and uniting during times of difficulty and crisis — nobody knows challenging times better than America’s farmers and ranchers. Seeking common ground and making a sincere effort to collaborate is the only way to improve the lives of our citizens and our nation. This is why we, along with more than 125 residents from small towns across America, are uniting in Washington on Tuesday to meet with policymakers to call for increased access to high-speed broadband. Decision-makers have an opportunity to reach consensus and help improve economic growth and job creation in our nation through ensuring reliable broadband to all businesses, homes and communities across the country. The National Grange and U.S. Cattlemen’s Association are joined by many others in supporting policies aimed at creating jobs, improving health care, providing higher education and ensuring a prosperous future for rural America. Achieving that bright and competitive future for America, we believe, must include affordable high-speed broadband access — a technology that many areas of our country still lack the ability to connect to. One clear pathway to increase access to high-speed Internet throughout more rural communities is through a joint effort between public and private partnerships. Our main objective is to ask government officials and representatives of private companies to collaborate and bring each sector’s strengths into a partnership that will result in making the deployment of and access to high-speed broadband a reality for all Americans. This objective is consistent with the goal outlined by President Barack Obama in his 2011 State of the Union address to make high-speed Internet available to 98 percent of the population by 2015. High-speed Internet is an essential tool used by businesses to stay competitive and expand their reach, by communities to create jobs, by patients to seek the best health care, and by students to pursue higher education no matter their location. Affordable high-speed Internet access could enable all Americans to drastically improve their quality of life, all by connecting to the resources, information and opportunities available via Internet connectivity. Americans in rural areas are seeking access to the same digital capabilities now available to their urban and suburban counterparts. We in rural America are simply looking to place ourselves on a level playing field with urban America and the rest of the world. Access to innovative health care solutions, availing ourselves of distance learning in higher education, expanding market reach for our small businesses — all of this is possible for America’s underserved communities through high-speed Internet connectivity. Seeking this kind of common ground and engaging in collaborative efforts to expand competitive high-speed Internet access in rural America is something we believe most people can agree on. To put all of this into perspective, let me paint you a picture of what I deal with on a regular basis as a cattle producer who ranches in a rural area. When I leave the house and head out to the high country, I have, at best, limited access to Internet and cellphone service. While out gathering cattle, I am virtually unreachable and must suspend all business communications — and as the executive vice president of the U.S. Cattlemen’s Association, that is not an ideal working situation. The ability to access high-speed mobile Internet would allow me to operate my ranch at a more efficient level while staying connected to Cattlemen’s Association members and Congressional and agency leaders in Washington. The ability to connect to the world should not be a luxury but an attainable goal for everyone in America. As chairman of the White House Rural Council, Agriculture Secretary Tom Vilsack leads outreach efforts to rural America on behalf of the White House, which has hosted several Rural Council events. Rural Council meetings have focused on job creation, increased economic viability in rural America and increased access to high-speed broadband mobile Internet — all critical components of building a strong and prosperous rural economy. This kind of high-level commitment is essential to pushing this issue to the forefront of national policy and generating the kind of private-public partnerships needed to reach this administration’s and our goal of expanded high-speed Internet access. We at the National Grange and U.S. Cattlemen’s Association join numerous others in hoping we have found a unifying policy imperative — the need for high-speed broadband access across the country. Jess Peterson is executive vice president of the U.S. Cattlemen’s Association. 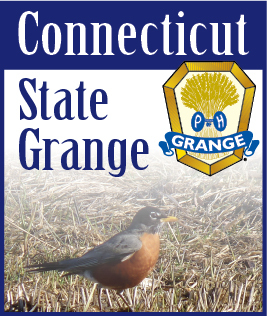 Ed Luttrell is national grange master and president of the National Grange.